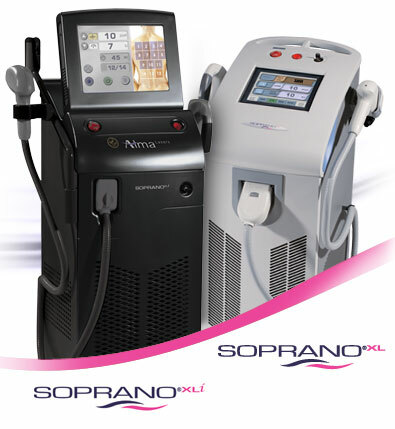 Laser Hair Removal has become one of the most common cosmetic procedures performed in the world. Laser hair removal utilizes beams of highly concentrated light designed to selectively penetrate into the hair follicles, to be absorbed by the pigment in the hair follicles and to destroy the hair within that hair follicle. 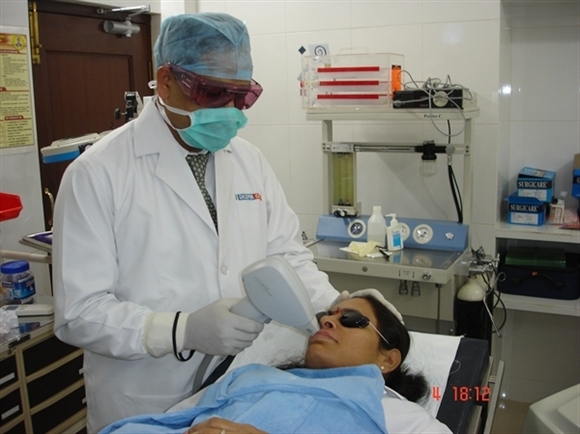 A variety of lasers and light sources have been developed that may be employed in laser hair removal. The procedure was originally described to be performed on dark hairs on light skin; newer technologies have made the procedure safer for patients with darker skin and those of color. 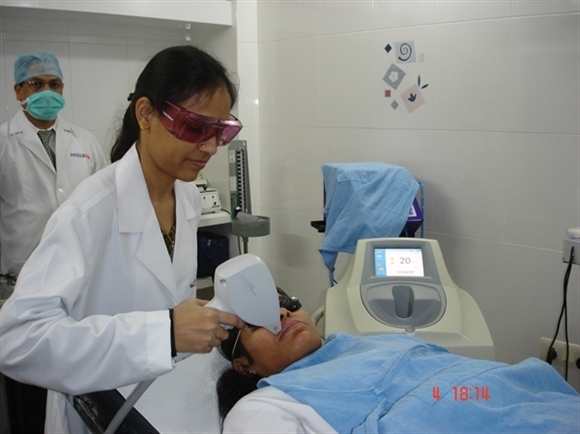 Various types of lasers are utilized with laser hair removal – the most common of which are Alexandrite, Diode, Neodymium YAG and intense pulsed light sources. Laser hair removal can remove unwanted hair in those individuals who have disease states in which unwanted hair growth can occur, or it can be performed on those individuals who have no active disease states and just want removal of unwanted hair. Most individuals will require a series of treatments over time which will result in the removal of the unwanted hair. Most of the lasers and light sources are FDA cleared for permanent hair reduction, which means reduction over time. Some individuals will see very long term hair removal which may last for many years. Others may require maintenance treatments over time to maintain their degree of hair loss. It is truly impossible to determine in advance who will require how many treatments and how long the hair will remain gone. As stated above, laser hair removal works best in those with dark hairs on lighter skin, however newer technologies and newer lasers and light sources have made the procedure safe and effective in those with darker skin and those individuals of color. Although laser hair removal is the second most common cosmetic procedure, many clinics promise results that are just not realistic. Once you have the proper comfort level with the clinic where you are going to have the procedure performed, you will schedule an appointment. Most patients will have the hair trimmed with a scissor to just a few millimeters above the skin surface. The laser and light source will be set with parameters which take into consideration your skin color, the hair color, the thickness of the hair, the location of the hair and the amount of energy needed for the treatment to be performed. Depending on the laser or light source used, both the patient and the technician will wear appropriate eye protection, to prevent the laser light from penetrating into the eyes, which in itself can be a significant danger. The area to be treated should be clean and dry. Again, depending on the laser or light source, either a cold gel or a special cooling device will be used to protect the outer layers of the skin. This also helps the laser light penetrate further into the skin. Many of these cooling devices are now part of the laser itself, and you will feel the cold when the laser is applied to the skin. The operator will then give a pulse of light to the treatment area and should then observe the area for several minutes to determine if the optimal parameters were used. They will also look to see that there are no adverse effects prior to continuing the procedure. When the procedure is finished, it is common for the area treated to have some redness and some accentuation of the hair follicles themselves. This is “normal,” and should disappear over the next 12-24 hours, in most cases. At the conclusion of the procedure, most will have ice applied to the area treated, and some may use some special aloe gels or anti-inflammatory creams, lotions, or water to relieve any discomfort to the area. Most individuals will be scheduled for another treatment 4-6 weeks later and the procedure will be repeated until hair growth has been eliminated. At each successive laser hair removal procedure, less hair should be found in the treatment area. Treatments will be resumed at a point in the future when, and if, hair growth occurs again necessitating further therapy. As with any laser treatment, complications can occur with laser hair removal. Both the physician and the patient must be aware that they may occur and be able to identify them and treat them appropriately. With laser hair removal, redness and swelling of the hair follicle, known medically as erythema and perifollicular edema, are “normal” events seen with most laser hair removal procedures. On occasion, pain and discomfort will occur with laser hair removal – most of this can be easily treated with over-the-counter pain medicines. Excessive pain during the procedure, especially during successive laser hair removal procedures, should be brought to the laser technician’s attention immediately, so laser settings may be adjusted. Other adverse events, although rare, are seen and should be reported immediately to the physician in charge. These include blisters and burns, which can occur with every one of the devices on the market, and especially if there is a recent history of sun exposure or if one goes into the sun immediately after the procedure. Patients should be advised to avoid direct sun exposure for at least one week following all laser hair removal procedures. Blisters and burns, although rare, do occur, and on occasion, will lead to either too much or too little pigment remaining in the skin, conditions known as hyperpigmentation or hypopigmentation. And even rarer, true scarring results, with raised red scars known as hypertrophic scars and keloids. All patients should be warned of these risks prior to laser hair removal procedures and all facilities should be well versed in how to handle these complications. Dermatologic surgeons are well versed in handling any of these complications, making these highly trained physicians and their facilities ideal locations for laser hair removal procedures. Do consult a qualified physician: Regulations for laser use have not kept up with the demand and consumers should be cautious of non-physicians practicing these procedures in spas/salons. Only a physician who is board-certified in dermatology or another specialty with equivalent training and experience should perform this procedure or the physician can designate another trained technician to perform a procedure as long as he/she is under the direct (on-site) supervision of the physician. Do ask questions: What kind of lasers do they use? Do undergo a skin test: If there are any apprehensions as to how the laser may interact with the skin, ask for a skin test to ensure there will be no adverse side effects. Do ensure the physician has experience with different skin types: People of a darker complexion may experience unusual lightening of the skin if an incorrect laser is used at an inappropriate setting. Don’t tan before or after a procedure: Tanning prior to a treatment can interfere with the absorption of laser light and may cause unusual lightening of the skin. Artificial tanning lotions should also be avoided because the perceived darker pigmentation may also interfere with the absorption of the laser on the skin causing unusual burns and bumps. Don’t seek laser treatments for blonde or white hairs: Since the laser responds to darker pigmented hair follicles, laser treatments are not as effective in treating lighter hairs. Patients with this type of hair should consider other methods of hair removal. Don’t undergo laser procedures if you take light-sensitive medication: Some medications may interfere with laser procedures, making the skin more susceptible to burning and scarring. To ensure that your medication won’t interfere with the procedure, consult a physician before undergoing any laser treatment. Hair grows in cycles. Since various hairs will enter their growth cycle at different times, Multiple treatments at intervals 6- 8 weeks are necessary to disable most of the follicles in a given area. Both men and women seek laser hair removal to remove unwanted hair. Hair removal is commonly done on underarms, pubic area, legs, abdomen, Upper lip, chin, back, buttocks, thighs, face, neck, chest, arms, and toes. Larger areas may be treated using lasers than another method of electrolysis, waxing or tweezing. It fastest of all methods and is effective on any area of the body. For the maximum benefit, one needs a treatment on a regular basis, for facial hair 4 weeks of treatment is required and 6 weeks of treatment for body hair is advised. We recommend a minimum of six treatments. The parameters like the hair density, your hair's growth cycle, Age, ethnicity, weight, hormones, diet, medication and metabolism have to be studied for minimum recommendation of treatments. The laser slows the growth cycle of follicles at the time of the treatment and after the treatment it may enter their growth cycle. Treatment results vary from patient to patient depending on type of skin and hair colour. Note: Removing hair does not make it to grow back thicker, darker or quicker. The laser may cause hair to come back slower and thinner. Electrolysis is a much slower process and painful. 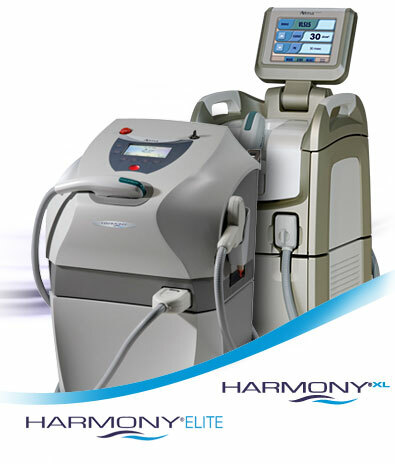 Laser Hair Removal is less painful, faster and more convenient. What is laser hair treatments like? Laser Hair Removal is a gentle three-step process. First, we gently cleanse the area to be treated. Next, we shave the area. Then the area is scanned with the laser and then the hair follicle is disabled. Treatments time session may vary from minutes to a few hours depending on the size of the treated area. The skin redness may be noticed, which is common symptom and will subside within 24 hours. The skin exposure to sun has to be avoided as it cause hyperpigmentation and your dermatologist will recommend sunscreen lotions to protect your skin..
For Further Information call Dermacare to fix an Appointment.